Photos courtesy of Utah State Historic Archives. 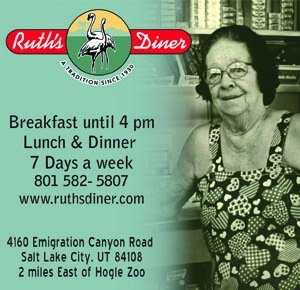 It is easy to see what has been dubbed Salt Lake City’s Chinatown while driving down State Street in South Salt Lake. The shining red, gold and blue towering traditional Chinese archway marks the entrance to a collection of Chinese restaurants and a large Asian market. 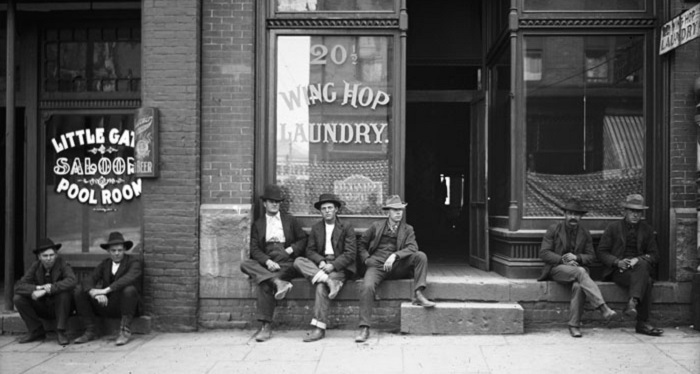 What is less recognizable is the location of Salt Lake City’s original Chinatown which was established in the 1860s on a downtown street known as Plum Alley. This was around the same time as the completion of the Transcontinental Railroad. If you’ve taken in a show at the new Eccles Theater or strolled down the renewed Regent Street just east of the Eccles, you’ve been as close as you can come to Plum Alley; once a collection of Chinese residences and businesses that were razed in the early 1950’s to construct the Regent Street parking terrace. 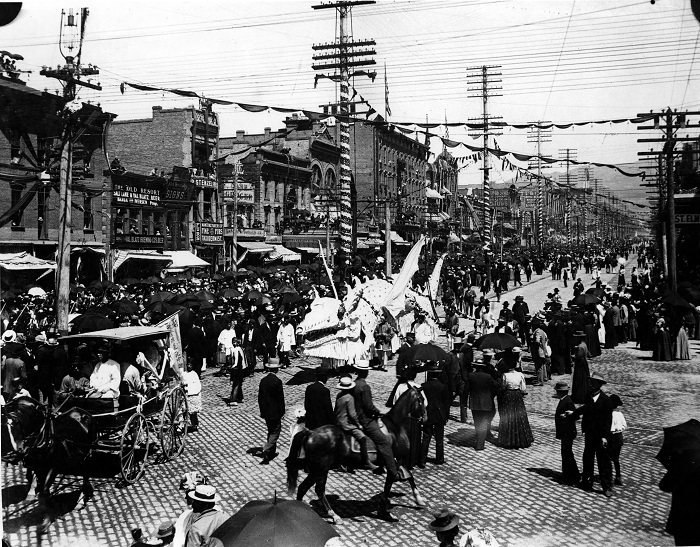 According to the Utah Division of State History, the 1890 US Census counted 271 ethnic Chinese living in Salt Lake City, mostly on Plum Alley, but numbers eventually grew to around 1,800 just before the area was demolished. While many arrived with the railroad, those that remained in Utah found work in the coal, copper and silver mines. The China Bridge parking terrace in Park City is named for these immigrants, and headstones with Chinese characters can be found in the cemetery of the coal mining town of Price. Many industrious Chinese launched their own businesses which served their local communities. Two important cultural features of Plum Alley were the joss house, an informal church or shrine where visitors could make spiritual offerings. Also on the street were the local offices of the Bing Kong Tong organization that helped Chinese residents find jobs, get legal services and sponsor social activities. While the Chinese typically kept to themselves, they did hold celebrations that brought them into contact with the wider community. 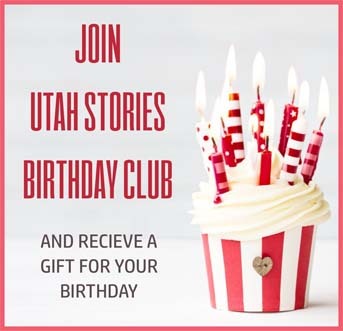 Ju’s account of the New Year’s celebrations noted the Chinese leaders would invite Salt Lake City’s mayor and police chief to join them in a celebratory meal, and the older Chinese men who would pass out money in traditional red envelopes to children. During the renovation of Regent Street, following the completion of the Eccles Theater, efforts were made to commemorate the site of Salt Lake’s original Chinatown. A plaque (#11 on the historic walking,tour of Salt Lake City) notes the location as do pavement markers along Regent Street. For several years the owners of the Copper Onion restaurant also operated a restaurant named Plum Alley on the corner of 200 South and 63 East, which featured Chinese dishes.